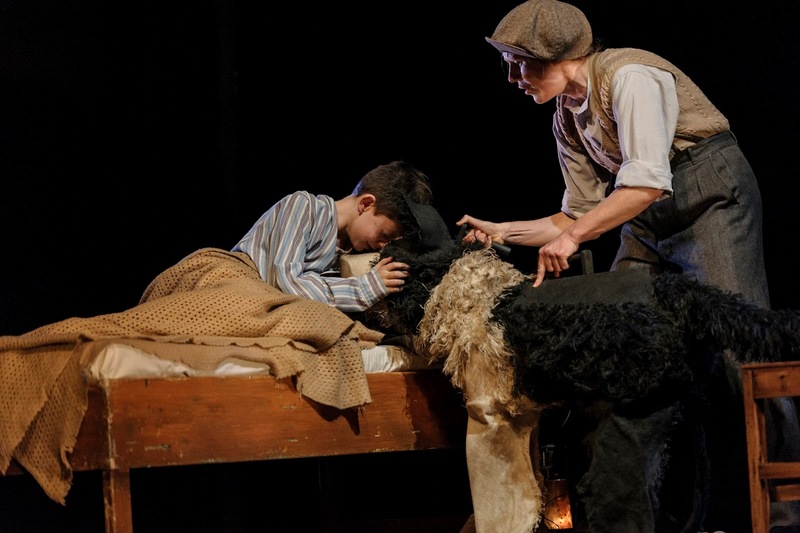 Like many British school children I developed a deep affinity for Goodnight Mister Tom by Michelle Magorian when I was a child. I went on to watch the film adaptation featuring Tom Thaw. Oh how I cried. Thus, when an opportunity came up to see the Olivier Award winning stage adaptation (touring next year) I had high expectations. I'm delighted to say I was not disappointed. For those unfamiliar with the story: Tom Oakley is a crotchety old man living in Dorset. As events build towards the outbreak of the Second World War, children from London are evacuated to the sleepy Dorset village where Tom lives. He ends up taking in William, a small and nervous boy who has been treated with cruelty by his mother. The story is about the growth of their relationship and how their love for each other helps them overcome the demons from their past. 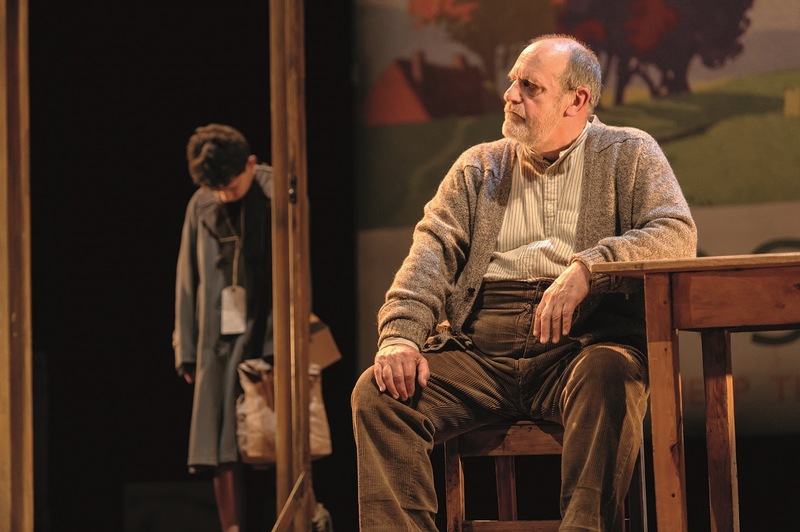 The Duke of York's Theatre provided the perfect space for the set which was quite simple and allowed for versatility during the performance as the same space stood for Tom's home, the Church, and the village hall. During the section set in London the main stage is lifted up at an angle to provide a wonderfully evocative cramped and dingy London house. There was a lot to be charmed by in this adaptation by David Wood. The script managed to capture the essence of the story and it was brought to life by a talented cast. 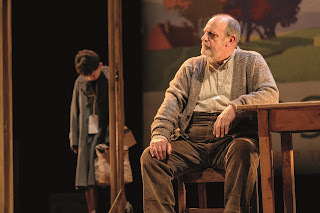 David Troughton was my ideal Tom Oakley and he managed to portray the character with just the right amount of gruff affection. There are several different actors in rotation for the parts of William and his best friend Zach. It is a challenge to work with child actors and I must confess that our William (Joe Reynolds) was less able to vary his tone than I would have liked. However, he excelled at moments of particular trauma for the character. Sonny Kirby charmed the audience with his portrayal of Zach bringing great verve to the role. An unexpected element that proved one of the most enjoyable for me was the puppetry. Tom's dog became a central character thanks to Elisa de Grey's great skill and I was astounded by the natural animal movements and sound effects. The use of puppetry for the dog, squirrel and birds conveyed the alien environment William found himself in. They also add to what is a charming family production of this classic children's book. The darker elements were handled with care and the show was well paced. Overall this was an extremely enjoyable show. Many thanks to Theatrebloggers.co.uk for arranging a press ticket to this show.